Hello Bob, just downloading your rom now :) in readyness for my B7610 which should be with me next week providing UK customs stop sleeping on the job. Will let you know how I get on with it :). Cheers for sharing your rom. this is my phone right now. and i need your ideas on how to flash properly. not yet downloaded your file...should i flash all or only PDA and CSC or flash all to JJ1 OEM then use this room after? Here is the csc, eb0, and phone.bin files for my rom. They are thanks to Jacob's rombuilder and work well with the rom I made. Hope this helps you decide. If you do flash your phone remember to do a hard reset to make sure all is up to date with the new rom and stuff. Thank you for this ROM that works smoothly on my i8000. This rom is well with my requirements ... except that I am French! For Frenchify this one, I need the MUI files 040C ... can you tell me how to download or is there a lang pack for it? Excuse me for my English aproximatif and thank you in advance for your response. 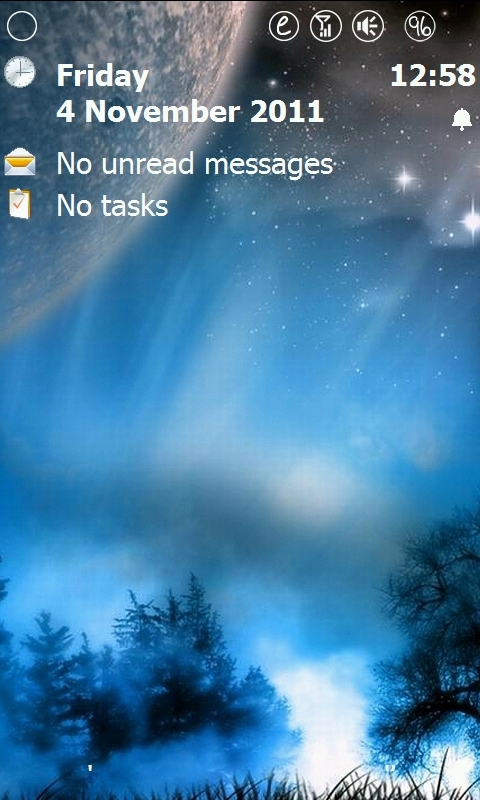 Message display number of unread messages, but empty when u get in. Apparently I can't connect to 3g, it show H or 3g+ and then disconnect right away. I will try to re-flash with csc, eb0 and phone.bin in post #28, by the way the link for this is wrong in the first post, it point to the same eb1 file. ah nevermind, after flashing message part work again. However I need dozen times of rebooting and network config to make 3g work (seem like change operation other than my carrier, then change it back do the trick). Wonderful work this is, Bobfrantic! I was just wondering if it is possible to flash the firmware in another language than English? I had the choice to pick Swedish in the CSC- file but it turned out to be English anyways. Is there anything I made wrong? Firstly i would thank for this great rom. Its realy fast. Howewer i have a problem. I cant click the x button on top right. Always when i click that x-mark, it appears the context menu with connection, wifi, bt and other buttons. I must kill apps within task manager. Howewer when i install a program, i cant go further since i cant click the ok-button from top right of the screen. please help. thx. Hi, have you installed a custom taskbar? nope. that is what happens even after hard reset. even after install that custom metro-style taskbar. First I want to thank JacobN for his rom builder and for the files to make the build 21916. Also to all the chefs on Modaco which helped me to learn about rom building. And to bobhero for the EzInput keyboard which I prefer over any other keyboard and the Sip menu changer . I use this rom daily with no troubles. Lots of free ram always and most stable. I give the disclaimer that I am not responsible for anything that goes wrong though, you install this at your own risk. I made this for my own use, but have seen some who want transparent taskbars so thought I would share it is all. Enjoy. There is only the Windows Today UI in this rom, Chome and Samsung Today are removed. Also no Samsung keyboards. If any other program is not listed above it also is not in the rom. Here is the download link. I only have account with mediafire sorry, if anyone wants to mirror this go ahead. PagePool is 6 meg which is plenty for the rom. On first boot there is about 95 megs free ram and 240 megs free space. Remember to go to the EzInput Sip Menu Changer and select Full QWERTY keyboard. One thing to do after flashing this rom, make sure to do a hard reset immediately to make sure there is nothing from the previous one you had on your phone still there. Thanks to Umpal for reminding some to do this but I felt I should add this to the first post. If you are not getting your sms or you see 2 message folders, then the hard reset will correct that. It isn't a fault of the rom but just how things work when flashing phones... always do a hard reset. Enjoy.... Its my personal rom and hope you like it!! Hmmm never heard of this one on my rom before. Did you also use the csc ebo file or just flash the pda. if that is case try flashing with the other files too from post 28, then do hard reset after flashing. hope this helps. i tried that already, no help :( The hard reset, it needs after the phone reboot which does automatically after writing the images, right ?